Darren Hayes ‘Stupid Mistake’ Pre-Order Now Available! 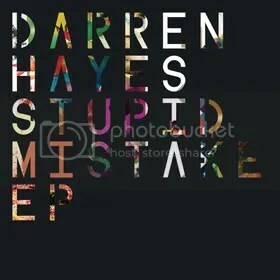 Darren Hayes has released complete full details on the next release of new single ‘Stupid Mistake‘!! Official release date is Monday the 7th May for UK/Europe/Rest of world. *For Australia /NZ – The official release date at iTunes is Friday 27th April! The vinyl features the radio mix of “Stupid Mistake” and a stunning, never-before heard orchestral version of “The Siren’s Call”. Encased in a beautifully designed black laser-cut cardboard sleeve with an incredible gold vinyl. This is a strictly limited edition run of only 500 hand-numbered 7inch vinyls. Next PostDAYS: Lexi Carver To Die In Coming Weeks!